I’ve written twice on the website about connections between Lauderdale County and the United States Colored Troops (USCT) here and here. While visiting Washington DC for a conference, I finally had the opportunity to visit the African American Civil War Memorial and Museum. Not only is there an excellent exhibit at the museum, but right across the street from the museum is the USCT Memorial complete with a statue and plaques that bear the names of every member of the USCT, who served in the Civil War. Of particular interest to me was finding the name of Major Gilliland/Gilden/Bates who happens to be my children’s 4th great uncle. Major was enslaved by David Gilliland in Lauderdale County, Tennessee as referenced in his USCT records. He enlisted in the 4th Regiment, United States Colored Heavy Artillery. Despite the cold and rain, I found his name. After locating Major’s name I then began to search for Wallace Nixon’s name. Wallace Nixon enlisted in the 3rd Regiment, United States Colored Heavy Artillery. I was able to locate him as well. 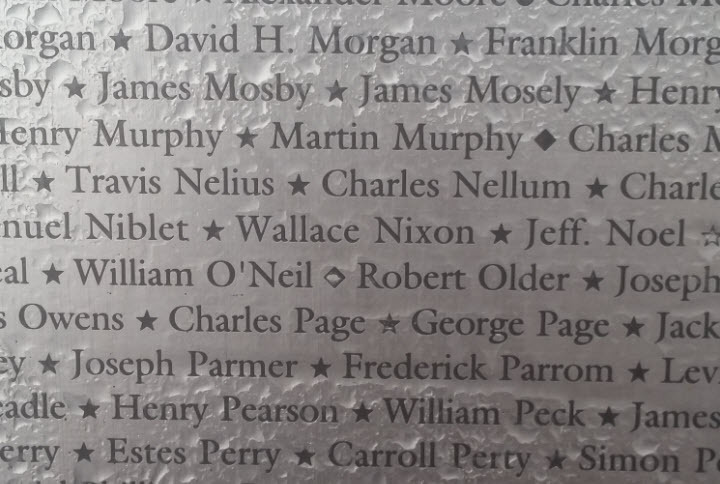 I am sure that there are other USCT troops from Lauderdale County and neighboring counties also featured there, but unfortunately, I could only remember these two names during my stop at the museum and memorial. If you are ever in Washington DC, admission to the African American Civil War Memorial and Museum is free, although they do request a donation. With the end of enslavement, many freedmen and women set out to find their family and friends that they were separated from. One method of doing so was to place ads in newspapers seeking information on lost loved ones. One of these ads with a Lauderdale County connection is below. What is interesting about this ad to me is that it was written in 1880, fifteen years after the end of enslavement. This ad and the countless others like it exemplify not only the brutality of slavery, but also the resounding commitment of those searching to find loved ones that they were for forcibly separated from. 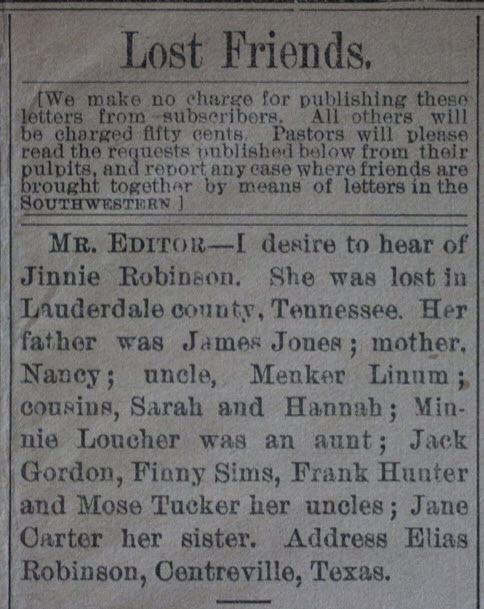 Source: The Historic New Orleans Collection – http://www.hnoc.org/database/lost-friends/index.html, newspaper clipping featured in the Southern Christian Advocate Nov 18, 1880 edition. If you follow the website regularly you’ll know that I am in graduate school, which explains my inconsistent posting. This past summer I had the opportunity to participate in an archaeological excavation in Nashville, TN at the site of a former plantation. It was very fulfilling work, and we recovered many artifacts. In addition, I had the opportunity to study the remaining extant slave dwellings that later became tenant farmer homes on the site. It made me wonder if any such dwellings still exist in Ripley. Has anyone seen any of these dwellings or know where a few might be hiding? Does anyone have any memories of tenant farming in the Lauderdale County area? I first featured Miles Chapel on this site under a header titled “If Walls Could Talk”. It was my way of calling attention to important African American sites in Lauderdale County. It is with great sadness that I now write about Miles Chapel and refer to it as Lost Ripley, which is my way of letting people know about African American institutions in Ripley that are no longer standing. Last April I discussed with one of my professors my idea of adding Miles Chapel to the National Register of Historic Places and he was all for it. The church as well agreed that they would like to have it added. It would have been the fourth site in Lauderdale County to be added. 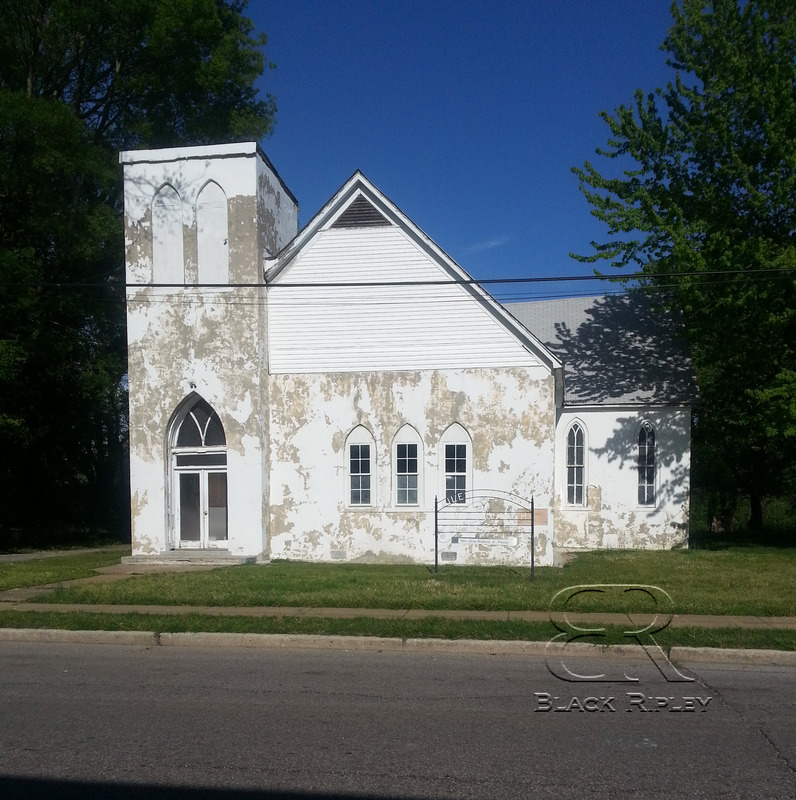 This past August my professor and I were headed to Ripley to start the process of having the church added to the National Register. Unfortunately, due to a mold problem the existing chapel will be demolished. Thankfully, they do have plans to rebuild. As someone who studies African American spaces I consider the demolition of the building as a great loss, but of course I hate to see any old structure torn down. 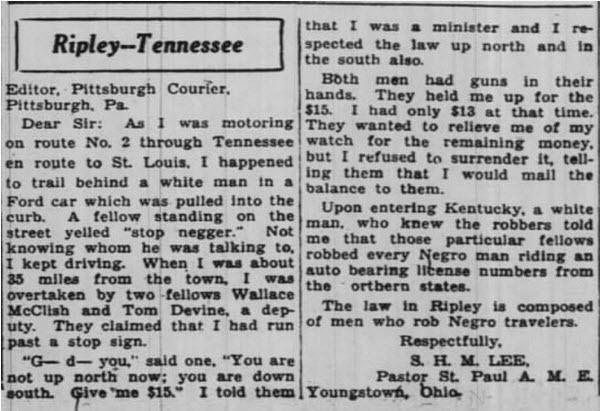 Below is a letter to the editor of the Pittsburgh Courier from Pastor SHM Lee of the St. Paul AME Church in Youngstown, Ohio. I found Wallace McClish/McCleish in the 1940 US Census living in Brownsville on Church Street with his wife Inez. His occupation is listed as “traffic police”. By 1960 McClish had relocated and was living in Memphis, Tennessee as an employee at an apartment complex. I wonder what compelled him to leave his field of law enforcement. A quick search for Tom Devine in the Haywood County and Lauderdale County areas yielded no results. Camp Shiloh, also known as The Colored People’s Camp, in Memphis, TN was a contraband camp for runaway slaves during the Civil War. Camp Shiloh was located in South Memphis. It is thought that due to the camp being majority female that their spouses had enlisted in the United States Colored Troops and that some were stationed at nearby Ft. Pickering. Camp Shiloh had over 300 houses as well as schools and churches. In 1863 a list was taken of the former slaves living there. The list was known was the Register of Freedmen. On the list were the names of the slaves and their ages, their occupation, the names of their former owners, their health status, and where they were from. I scanned the list for the names of slaves from our area and some of that information is below. I have copied the names exactly as they were listed, so some names may be spelled incorrectly. You can search for other names on this list by clicking the following link. I became interested in the lives of these former slaves after the end of the Civil War. Did they stay in Memphis or did they return back to Haywood County? I found a few leads, such as an Albert Cox living in Haywood County in 1870 on the US Census, but of course there is no definite way to determine that this was the same Albert Cox who had been at the Shiloh Camp. Below is a newspaper clipping from the Whig and Tribune (Jackson, TN) August 23, 1873 edition. In looking at this article I began to wonder what exact place was within three miles of Ripley and honestly that could have been so many places. This event occurred towards the end of the Reconstruction period, so it’s not surprising that it happened. What is inspiring is that African Americans were busy building institutions in the area and that education was a priority, even though there were those who sought to ruin it. 1873 also happens to be the year that Sampson Keeble was the first African American elected to the Tennessee state legislature.